Households across the United States continue to have difficulty in providing enough food for all their members at a given time during the year, due to a lack of resources. In 2016, 12.3 percent of households were food insecure. In households with children, 16.5 percent did not have consistent access to adequate food. Household rates of food insecurity were not statistically significantly lower than 2015. As I documented in recent Hamilton Project research with Diane Whitmore Schanzenbach, the share of households experiencing food insecurity is continuing to recover from its recession-era peak of 14.9 percent but is still above its pre-recession level of 11.1 percent. The share of food insecure households with children is also above the 2007 pre-recession level of 15.8 percent but below the Great Recession peak of 21.3 in 2009. In more extreme cases, in 2016, 4.9 percent of households were characterized by very low food security. These households reported that, at times during the year, the food intake of household members was reduced and their normal eating patterns were disrupted because of insufficient funds and resources. How do we know this? Every December, the U.S. Census Bureau conducts the Food Security Supplement to the Current Population Survey to determine the state of food security in the United States. This survey asks questions about a household’s resources available for food and whether adults or children in the household adjusted their food intake—cutting meal size, skipping meals, or going for a day without food—because of lack of money for food. Depending upon the severity of challenges faced, a household is categorized as food secure or with low or very low food security (together food insecurity). The differences between households with low food security and very low food security are as consequential as those between food security and food insecurity. Cutting the size of meals or skipping meals occurred in 2 out of 5 households with low food security and in almost every household with very low food security. Not eating for an entire day is rare among households with low food security, but occurred in more than 30 percent of households with very low food security. While food insecurity is not the same as “hunger,” it nevertheless negatively impacts children. Children living in food-insecure households tend to have a lower health-related quality of life and higher rates of asthma. Children living in food-insecure households are more than twice as likely to test positive for iron deficiency anemia, which has been linked to difficulties with foundational skills like language comprehension and emotional development. Food insecure students are 127% more likely to have behavioral problems at school. 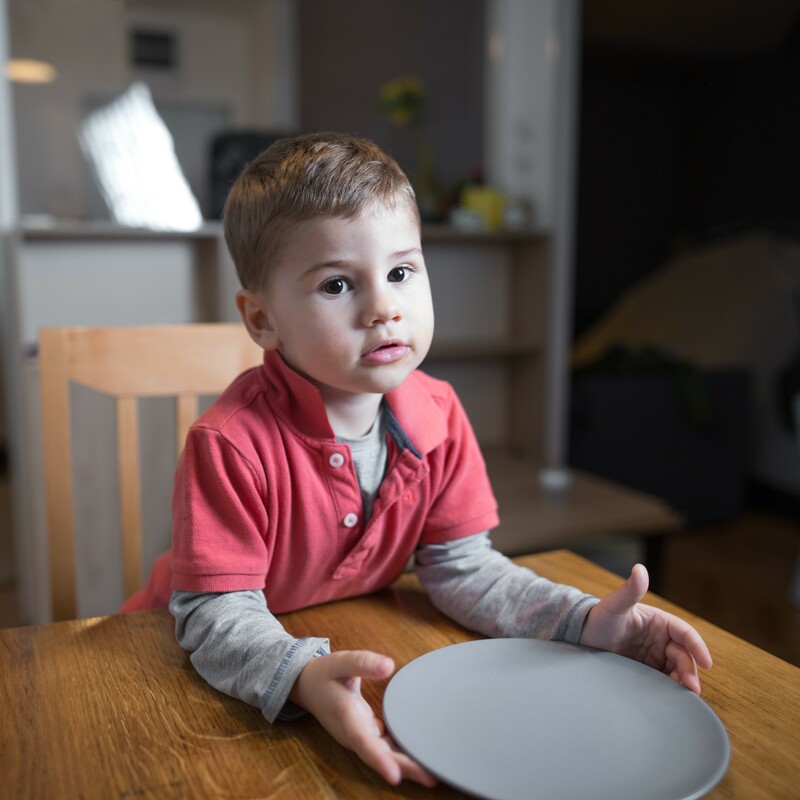 Even relatively short stretches of food insecurity can be detrimental, as one study found a decline in cognitive development and health status among toddlers who lived in sporadically food-insecure households in the first two years of life. Even children somewhat above the threshold for official food insecurity face meaningfully worse health and development outcomes than their fully food secure counterparts. These “marginally secure” children are much more similar to those experiencing food insecurity than children who are free from food insecurity entirely—but official government statistics generally include them in the latter group. The Supplemental Nutrition Assistance Program (SNAP; formerly The Food Stamp Program) is the primary policy lever for food assistance. SNAP is a highly effective program. Figure 1 summarizes the best evidence of SNAP’s efficacy in reducing food insecurity among children and households with children. SNAP--alone, enhanced with additional resources over the summer, or through an increase in SNAP purchasing power--can reduce food insecurity among households with children. Over the summer, children lose access to school meals, but SNAP benefits do not increase to make up for the loss. The USDA ran a pilot program, the Summer Electronic Benefit Transfer for Children (Summer EBT), which provided an additional $60 per summer month to purchase food at a store – just like SNAP. The amount was almost equivalent to the monthly cost per child participating in school breakfast and lunch programs. The experiment found that the share of households with very low food security, as well as the share of children directly experiencing very low food security, reduced by one-third. Summer EBT also reduces food insecurity among households with children. As economists Hilary Hoynes and James Ziliak described in recent Hamilton Project commentary, increasing SNAP purchasing power (the value of the SNAP benefits in real terms at the local level) reduces food insecurity. A 10 percent increase in SNAP purchasing power reduces food insecurity among children by about 22 percent. Research by Luke Shaefer and Italo Gutierrez found that SNAP benefits reduce the risk of economic and health hardships, as well as food insecurity among households with children by more than 40 percent. As food insecurity continues to impact U.S. households with children – with attendant detrimental effects on their physical health and educational outcomes – policymakers should consider strengthening SNAP. The Hamilton Project has commissioned careful proposals from Diane Whitmore Schanzenbach and Ziliak that identify key areas for reform. Implementing these changes to the program will help to reduce exposure to food insecurity and very low food security among households with children.